Evanston is served by both Chicago Transit Authority elevated train lines and buses. Crime on CTA trains and buses was reported to have decreased by 25 percent during 2015, but Evanston saw a minor increase in offenses. Although crime on Chicago Transit Authority bus and rail lines decreased by 25 percent in 2015, Evanston saw a slight increase in CTA crime. Mayor Rahm Emanuel and CTA president Dorval Carter, Jr. announced the drop in crime at a press conference last Wednesday. Crime on rail system trains, platforms and tracks fell 32 percent, according to a CTA news release. Crime on buses also fell 32 percent. Thefts declined 19 percent and robberies declined 22 percent compared to 2014 data, according to the release. It is the fourth straight year of a drop in crime on the CTA. There were 4,691 reported crimes on CTA property in 2014 compared to 3,512 reported crimes in 2015, CTA spokesperson Jeffrey Tolman told The Daily. Serious crimes, including murder, sexual assault, robbery, aggravated battery and aggravated assault, declined from 412 incidents in 2014 to 364 in 2015, Tolman said. “Overall, serious crime averaged seven incidents for every 10 million rides in 2015,” Tolman said. Emanuel and Carter said in the release the expansion of cameras on CTA trains, buses and stations since 2011 has helped catch criminals and deter crime. 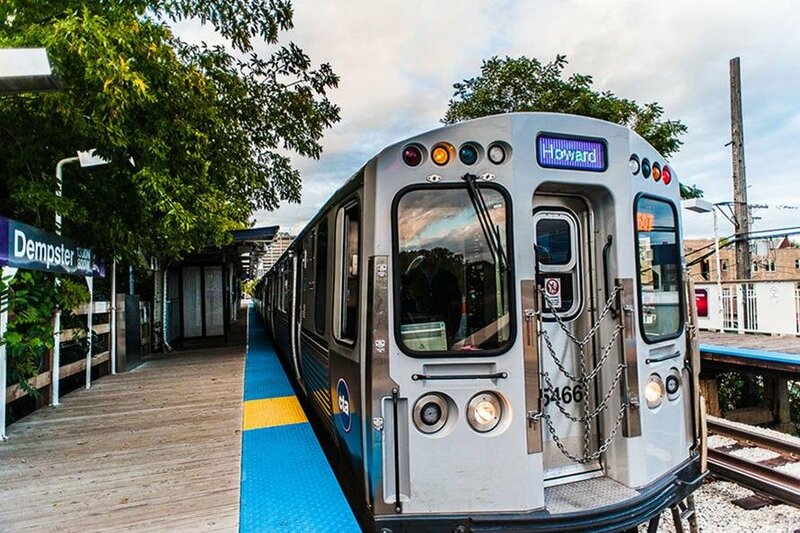 According to the news release, 256 individuals whose images were caught on CTA cameras were arrested for crimes committed on or near CTA property in 2015, an 8 percent increase over 2014. In Evanston, there were 30 incidents of crime reported on CTA property in 2015, a slight increase compared to the 26 incidents reported in 2014, Evanston Police Department spokesman Perry Polinski told The Daily. Theft made up 73 percent of these incidents in 2015, he said. “It should be noted that a large percentage of these thefts are bike thefts and unattended property (thefts),” Polinski said. EPD continually works to try to prevent crime on CTA property in the city by identifying hot spots — especially around CTA stations with bike racks where crime is an issue — and then having patrols monitor those areas closely, Polinski said. “Officers routinely keep an extra eye on train stations,” he said. Although the overall drop in crime is a good sign for the CTA, officials said they will continue to focus on safety.